One of Canada’s leading Indo-Canadian performing arts organization, NAAD FOUNDATION is holding its annual festival on 28 October 2016 in Surrey Arts Center, Surrey BC, starting 6:30 pm. 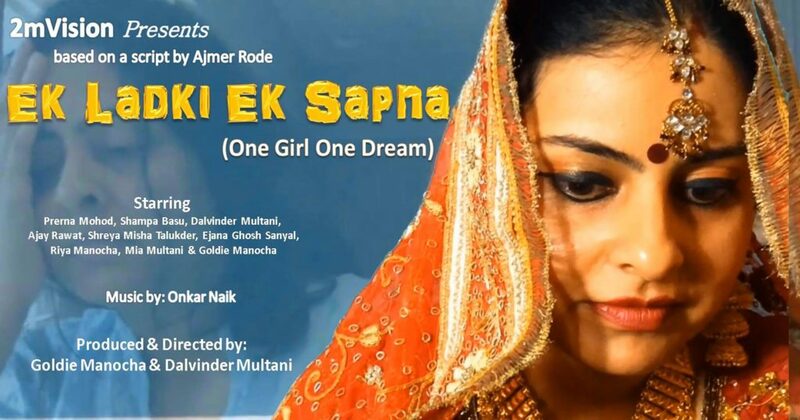 The program will be emceed by popular social activist Meera Gill. The festival will present several items of semi-classical, popular and fusion music by well-known and accomplished Naad musicians: Amarjeet Singh (tabla), Gagandeep Singh (vocalist), Dr. Bruce Harding (flute), Surinder Khaira (drums), Coach Sandhu (guitar), Baljit Singh (Dilruba) and Nikki (Tanpura). The highlight of the program will be dance performances by famous Kathak dancer Mangala Bhatt of Jaipur Gharana coming (from India) especially for this program. This Year the festival will premiere a Poetry film Our Victory based on a poem written by poet-dramatist Ajmer Rode. The film is produced by multi-talented artist Gagandeep Singh and directed by photographer & up-and-coming director Gurleen Suri. 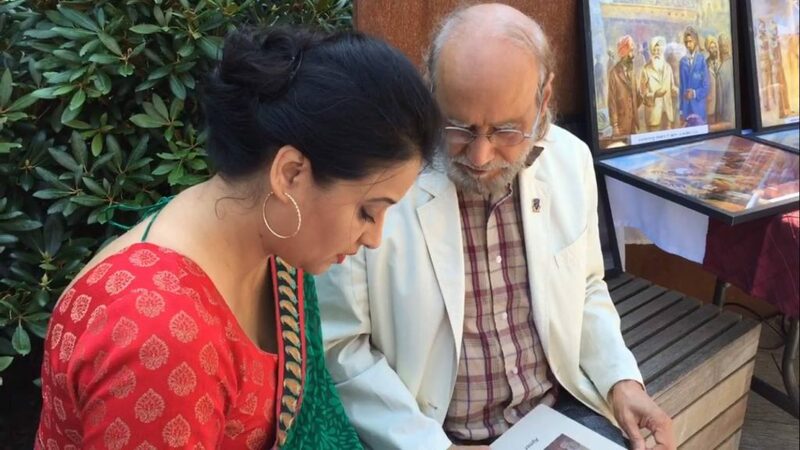 The festival will also release a new publication Punjab Paintings produced by famous Indo-Canadian artist Jarnail Singh. Dhahan Prize is the largest and most prestigious international Punjabi prize awarded annually for three best works of Punjabi fiction. The books written in Gurmukhi and Shahmukhi are considered for the prize, already being praised for creating fraternity among Punjabi authors across India-Pak border. So far the winning authors have been from India, Pakistan, UK and Canada. This year the top prize ($25,000) goes to Toronto based writer Jarnail Singh; the second prize ($5,000) winners are Zahid Hassan (Shahmukhi) and Simran Dhaliwal (Gurmukhi). 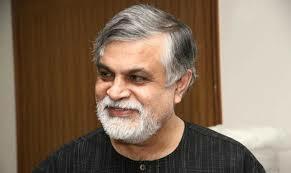 One of Canada’s most acclaimed novelists MG Vassanji is coming to deliver the keynote speech this year. Among his many prizes and honors are Gillar prize (twice) and a Governor-General’s prize; he was made a Member of the Order of Canada in 2005. His speech alone would be worth attending the gala, though, there would be much more, of course, including meeting the winning authors and Dhahan Prize founders and organizers. I urge all Punjabi language lovers, readers and writers not to miss the gala being held on 29 October 2016 at 6:30 pm at the Museum of Anthropology, UBC. For tickets go to galatickets@dhahanprize.com or get them at the door. One of British Columbia’s leading performing arts organizations, Naad Foundation, is holding its Naad Festival – 2016 on 28 October 2016 in Surrey Arts Centre. The highlight of the program will be a dance performance by famous Kathak dancer Mangala Bhatt of Jaipur Gharana (India). This year the festival will also premier a short spoken word film, OUR VICTORY, written by Ajmer Rode, directed by Gurleen Suri and produced by Gagandeep Singh. urges you to look at your hands. See what is possible with them. coded in seven colors of sun. supporting all those above it. To the apex. σε κάνει να κοιτάζεις τα χέρια σου. Να δεις τί είναι εφικτό να φτιάξεις. κωδικοποιημένη στα επτά χρώματα του ήλιου. που υποβαστάζει όλους τους άλλους από πάνω του. With Ajmer Rode just before yesterday’s event, discussing the book : “A Journey With The Endless Eye”- put together with partnership with Jarnail Singh Artist. We could not be more proud of the fact that this book written by Mr. Roe and the ten original painings (from the book) depicting history of the Komagata Maru incident were released by the President of the Carleton University of Ottawa on the same day our Prime Minister was offering the Komagata Maru apology on the Parliament Hill (http://newsroom.carleton.ca/…/carleton-host-art-exhibition…/ ). Ten paintings are now the integral part of that university. Please congratulate Mr. Rode and Mr. Jarnail Singh for their vision and dedication to save part of our heritage in Canada. Today’s creative writing session was perhaps the best ever. Collectively we brainstormed the subject and theme of a new play. Participants poured out scene after new scene, some hilarious, creating much fun and excitement. In the next session we are going to give shape to the play by selecting and structuring the scenes and by creating appropriate characters. at unit 109 – 12414 82 Ave., Surrey. ALL WELCOME: Children, Seniors, Adults. Creative writing is exciting -fun and serious learning at the same time. It fills you with joy and confidence; Expands mind Improves memory Lowers stress. Submissions for the 2016 Dhahan Prize for Punjabi literature are now being accepted. DEADLINE is 15 March 2016. The Books Were Flying Faster off the Table than the Samosas. On the Sunday afternoon of February 21, I had the great pleasure of attending the much awaited book launch of “A Journey With the Endless Eye: Stories of the Komagata Maru Incident” with text by Ajmer Rode and paintings by Jarnail Singh. Many people have been waiting eagerly for this book, so the event was well attended at Crossroads United Church in Delta. As I walked into the foyer, both Ajmer Rode and Jarnail Singh were busy signing books, as they chatted with a crowd of book lovers gathered at the table thumbing through their book. There was also the pleasant scent of samosas in the air and turning around I saw people enjoying Indian sweets as they chatted with friends. 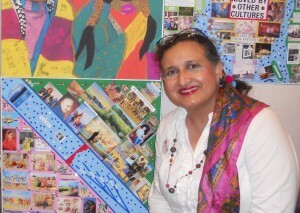 Jarnail Singh’s paintings of the Komagata Maru episode featured in the book were on exhibition. Mums and Dads were busy explaining the story of the Komagata Maru voyage to their children as they moved from one painting to the next. Looking around, I saw people holding anywhere from 1 to 10 books in their arms. Some people were buying multiple copies to gift to their loved ones. One grandfather told me he had bought copies for all his grandchildren, because he wanted them to know about the story of the Komagata Maru. Surjeet Kalsey, a critically acclaimed poet, writer and a counsellor officiated the interesting program that followed. After welcoming everyone warmly, Surjeet explained that although the centenary of the Komagata Maru was in 2014, they had decided to launch the book later to continue creating awareness of the Komagata Maru. Also she pointed out that it took some time to find a publisher but eventually they were lucky to find publisher, Richard Olafson of Ekstasis Editions. The Komagata Maru with its 376 Indian passengers was the first ship to be turned away from Canadian shores in 1914, because it did not meet the immigration requirement of direct journey from India to Canada. The continuous journey regulation was intentionally racist designed to prevent brown-skinned Indians from entering Canada, which the government of that time wanted to build into a white Christian nation. Critically acclaimed poet and Punjabi writer, Ajmer Rode spoke to the gathering, saying that their book is not a history book – instead their book includes “emotions” which history has left out. He noted that usually it is only “art” that deals with the topic of emotions. 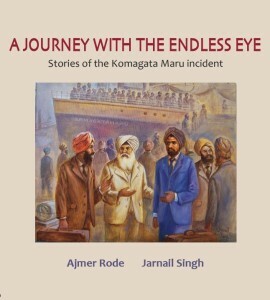 Ajmer Rode also explained the title of the book ” A Journey With The Endless Eye” saying that the “endless eye” refers to the “eternal gaze” of the Komagata Maru passengers – because the journey of the Komagata Maru is endless – continuing well into our own time. However, Ajmer Rode also emphasized that there were a sizeable number of white people in Canada at that time who did sympathize with the Indian passengers on board the Komagata Maru – and it is for this precise reason he created the character of “Jean” in the book. Also the history of the Komagata Maru does not document women, but there were also a few Indian women aboard the ship who are lost to history – and for this reason he decided to include a mother and child to give voice to women in the book. 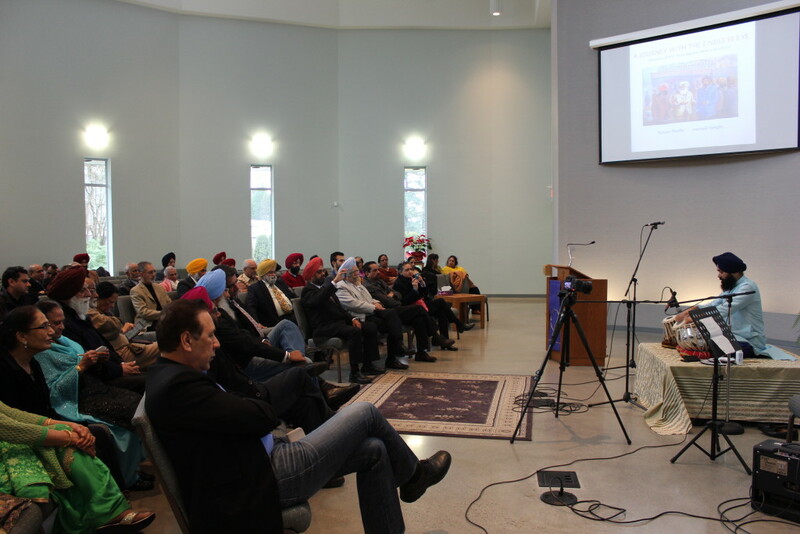 Prominent artist, Jarnail Singh also spoke to the gathering saying that he first heard the story of the doomed voyage of the Komagata Maru and the courage of its passengers in India, from his father. So when he immigrated to Canada, he decided that it was important to create a body of work around this defining moment in the history of South Asians in Canada, represented by the Komagata Maru episode. 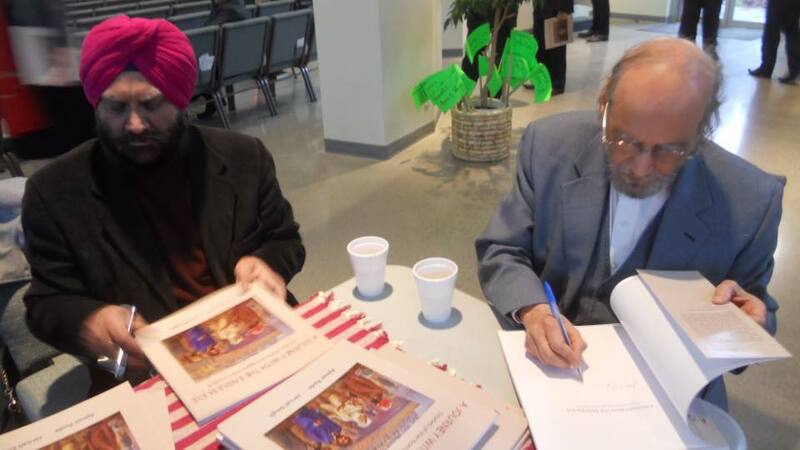 Publisher, Richard Olafson also spoke to the gathering stating that he made the decision to publish Ajmer Rode’s and Jarnail Singh’s book because the Komagata Maru is such an important Canadian story holding special significance for South Asian Canadians. The South Asian Canadian community says thank you so much to Richard Olafson for “A Journey With The Endless Eye: Stories of the Komagata Maru Incident”. Local politicians were also in attendance. Liberal MP Sukh Dhaliwal addressed the gathering announcing that PM Justin Trudeau will soon be making a formal apology for the Komagata Maru episode. 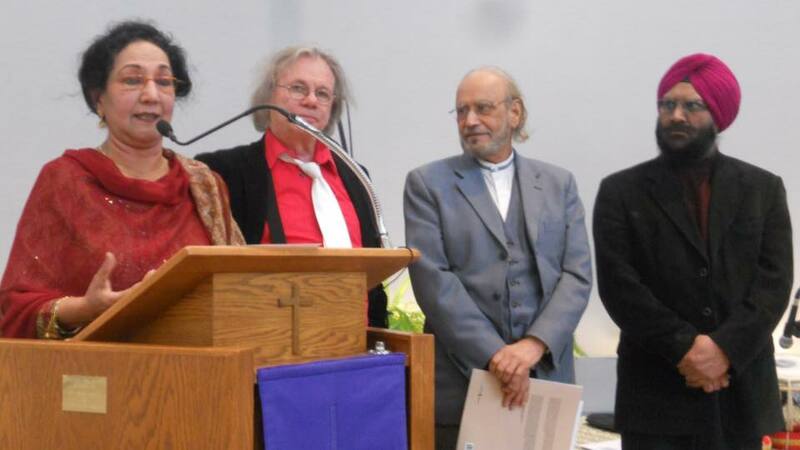 Jagrup Brar made a poignant observation noting that artists and writers were necessary for any society to flourish – because it was artists and writers who “build human beings”. Dr. Charan Gill from PICS Society also spoke to the gathering thanking community partners for their hard work. PICS Society under Dr. Gill’s leadership, has everyone knows, done a lot to develop our community. Also PICS Society played a big role in the centenary commemoration of the Komagata Maru. We enjoyed musical entertainment by NAAD Foundation. Surjeet Kalsey introduced the founder of NAAD, Gagandeep Singh saying that his beautiful voice sounded just like Jagjit Singh. His albums are available on iTunes. Other members of the band were Amarjeet Singh (tabla), Dr. Bruce Harding (flute) and Surindar Singh (guitar). This fusion music sounded heavenly to our ears. A dramatic performance by Gurdip Arts Academy from the Punjabi play called “Kamagata Maru” written by Ajmer Rode concluded this event. An encounter between a young girl and a wandering old man leaning on a cane highlighted the importance of preserving the story of the Komagata Maru in our social memory today. The young girl asks the old man who is looking around if he is lost. “Where is the 2nd Avenue gurdwara?” asks the old man. When the old man learns it was torn down a long time ago, he expresses his disbelief and disappointment, explaining that he had come all the way from India to do darshan (pray) at this gurdwara. Now the girl asks him some more questions and learns that this old man was a young boy called Puran on board the Komagata Maru in 1914 and the 2nd Avenue gurdwara had sustained the passengers with food and supplies during their 7 weeks of ordeal aboard the ship. “Any community that doesn’t care for its history cannot become great,” says the distraught old man. The girl then tells the old man she is a history student and would like to preserve the story of the Komagata Maru with his help.Let us keep the memory of the courageous voyage of the Komagata Maru alive in our public memory. 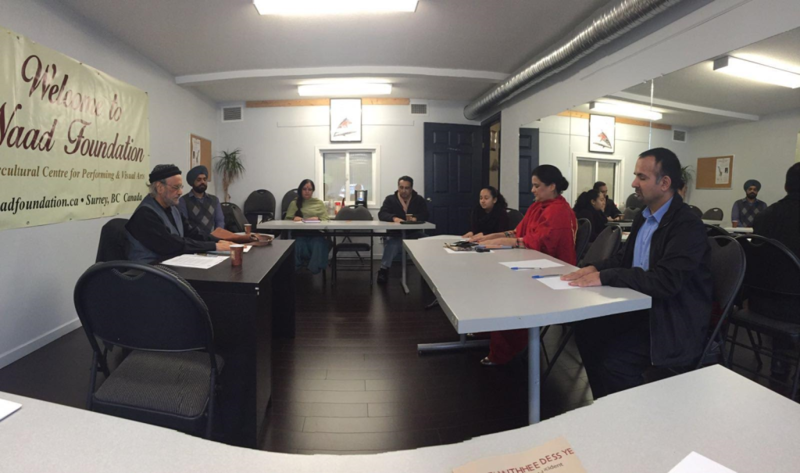 Basant Motors of Surrey purchased 100 copies of the book to distribute further. Thank so much to Basant Motors for their enormous support. Thanks so much also to the enormous support of the Komagata Maru Foundation for their purchase of 200 copies of the book. Also many thanks to community members for their wonderful support. “A Journey With The Endless Eye: Stories of the Komagata Maru Incident” is a beautiful coffee table book. Please contact Ajmer Rode and Jarnail Singh for more information regarding purchasing this book.